_The members of the Rainbow Chalice Alliance (RCA) Team help the Unity Church congregation live out its commitment to actively support LGBTQ youth. The teams seeks to create a world in which every youth learns to respect and accept all people, regardless of sexual orientation or gender identity and expression. Team members do this by helping create access to safe places and supportive adults, advocating for safe and respectful school environments and increasing awareness of the community at-large to the needs of LGBTQ youth. ​Pick Up Your Pi Day Pie! If you ordered a pie during Unity's Rainbow Chalice Alliance Pi(e) Day Bake Sale, pies will be available for pick up on Sunday, March 3, after each service. 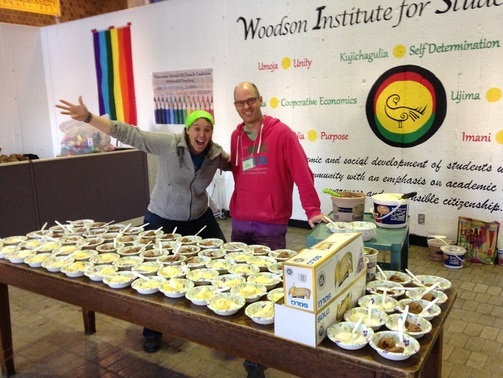 Your pie purchases make it possible for RCA to support Q-Quest, Queer Prom, and Youth Pride.